They stole the wrong money. Last February, in Tonbridge, England, a gang of thugs pulled off an audacious $97 million heist of a cash storage depot. They were good enough to get into the warehouse (requiring military-style reconnaissance and intelligence), and good enough to get out with the loot (requiring serious logistical planning), but they failed when it came to Stage 3 — making the money disappear. In late June, long after the story had fallen off the front pages, four more people were arrested in relation to the case — one of them in Morocco — and another million pounds or so turned up. That brings the total to 41 arrests and 12 people actually charged. The first of the trials related to the case is scheduled to begin next April. Although less than half the stolen money has been recovered, the police are operating on the theory that the rest is still in Britain, which means that the bad guys haven’t been able to get rid of the dosh fast enough. That’s because they took too much, and all of it was in the wrong currency. They didn’t have a money-laundering strategy good enough for that much cash, in pounds sterling.First, the crooks needed to reduce the bulk of their haul, because less is more when it comes to transport and security. 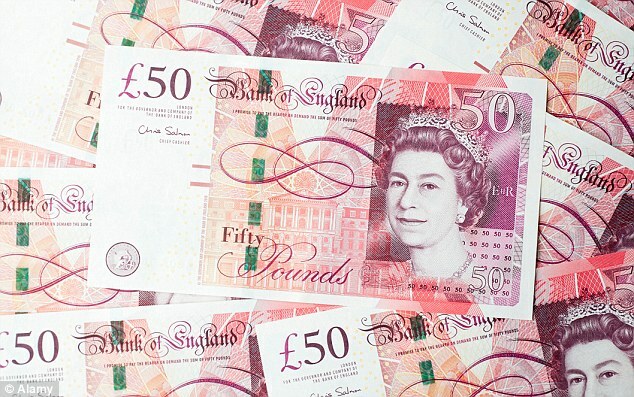 If the entire $97 million had been, conveniently, in Britain’s largest £50 ($92) notes, the robbers would have had to cope with 1.06 million pieces of paper, weighing over 500 kg and stacking over 40 storeys high. As it turns out, the cache included tens and twenties, which multiplies the bulk by three or four or five.Sure, the robbers have bragging rights — this was Britain’s biggest ever heist — but the unprecedented size of the haul means they faced unprecedented problems. Reducing the bulk became all the more imperative when a £1.5 million ($2.75 million) reward was offered. There is no honor among thieves. Next, the crooks needed to separate the money from the crime. In the old days, if you sold cocaine in Spain, you wound up with pesetas, which pointed to where the crime was committed. So you pre-washed your loot into, say, German marks, and from there moved into dollars. You spun that money in and out of secret bank accounts (to obliterate the paper trail) and across borders, and eventually brought the money out the other end disguised as legitimate income. Done properly, it’s next to impossible to tie your income to your crime. But these guys had $97 million in sterling. Everyone knows where they got it and how. Here’s their big mistake: they should have gone for euros. The euro is the criminal fraternity’s currency of choice because it short-circuits much of the laundering process. Legal tender for 313 million citizens living in 12 E.U. states, four other European countries, two territories in the Balkans, plus a group of smaller jurisdictions around the world, euros automatically separate the currency from the crime, eliminating the need to pre-wash. No one then knows if your euros are the result of drug trafficking in the Netherlands, car thefts in Germany or people smuggling in Italy. And consolidation is easy. Unlike sterling with its £50 note, the €500 note ($630) is a godsend to criminals. If the Kent gang had stolen $97 million worth of €500 notes, their haul would have reduced by over 85% — a small enough stash to stuff under the seats of an SUV and drive undetected across borders.The euro is even more attractive to crooks when you consider that it is now the world’s second currency. The European Central Bank (ECB) has issued about €570 billion ($720 billion) in paper money, which means, for the first time, another currency outweighs the dollar beyond U.S. borders. The euro’s use is encouraged in developing-world countries that do business in Europe, so it’s easy to move dirty cash through them. Try Eastern Europe. Try the Balkans. Try Africa. Try the Middle East and the gulf states. With 388 million of those €500 notes floating around, it’s not by accident that they make up just over one-third of the total value of all euro notes. The ECB issues them in response to demand — businesses find high-denomination euro notes convenient. Sadly, so do thieves.The ECB argues that several E.U. countries had high-denomination banknotes before the euro arrived. Indeed they did. Not coincidentally, those countries (Belgium, Germany, Italy, Luxembourg, the Netherlands and Austria) shared ever-increasing drug trafficking and money-laundering problems, in large part because of their high-denomination notes. The ECB stoutly maintains that issuing high-denomination notes does not in itself encourage underground or illegal transactions. The key words there being “in itself.” The plain truth is that the €500 note facilitates money laundering and cuts the cost of doing business for crooks. That’s why British gangsters with any brains will already have drawn a lesson from the mob that couldn’t launder a pair of dirty socks. Next time, they’ll hit a cash warehouse in France.